You have a budget below 5,000 and that’s it! Any Android handset is fine for you, but why should you settle for less? Let’s get you going with a great handset from Phicomm, which is called Clue 630. What about Phicomm Clue 630 specifications? Well, starting with display, it has a 5-inches 480p resolution display. Talking further on this handset, it has a 1GB RAM and 8GB internal storage, which can be expanded via microSD card slot. With a quad-core processor, which clocks at 1.1 GHz, it has the best in class processor at the price tag it comes. If you are a camera enthusiast, then you are likely to be sad about the camera package. 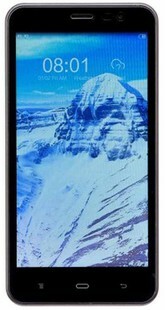 As it packs a 5MP rear camera and 2MP front facing camera. All this is powered by a 2300 mAh battery capacity, which can last for a day as promised by Phicomm. Phicomm Clue 630 full specs and reviews as of Apr 2019. Buy it here!